Both Fisher & Paykel and DCS now offer additional refrigeration options that provide maximum design flexibility. 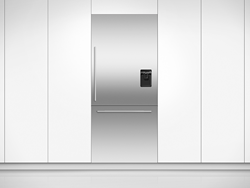 July 2016 – Fisher & Paykel, a global design innovator and manufacturer of indoor and outdoor home appliances, and DCS, the pioneer of professional kitchen equipment, are pleased to announce the addition of an Integrated Bottom Freezer Refrigerator to their lineup. The new family sized, integrated bottom freezer, which comes in popular 84” and 80” sizes, features a large 36” door. These models can even be placed side by side for a seamless solution to meet the need for maximum storage. 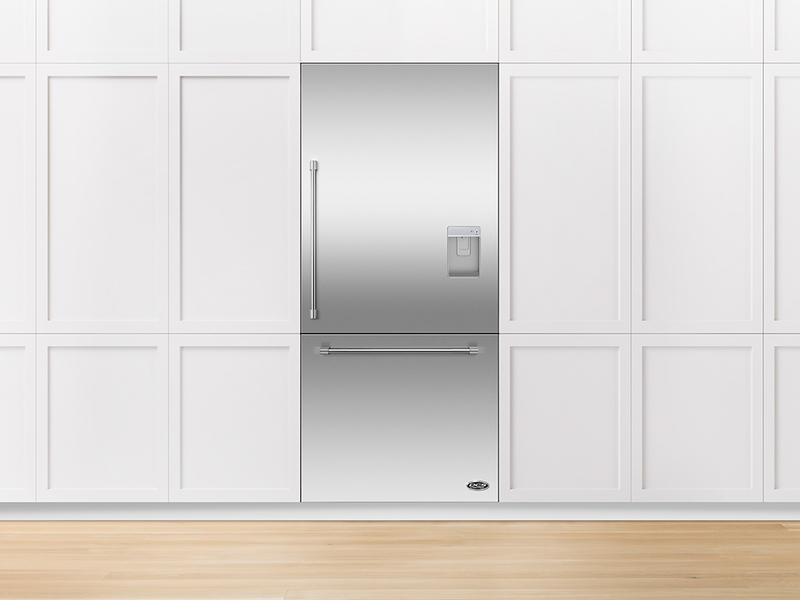 Just like the French Door integrated refrigerator, the new model allows seamless integration with minimal gaps around the cabinetry and a flush fit. Additionally, it can be customized to integrate with new or existing cabinetry, or integrate via a stainless steel door panel set (sold separately). The door panels allow multiple angles of adjustment, and four feet can be adjusted from the front to accommodate uneven floors. The adjustable door panels also allow for precision fine tuning, as the cabinets settle after installation. ○ Available with ice only and with ice and water. ● ActiveSmart™ Foodcare which helps keep food fresher longer. ● Flexible internal storage, such as split shelving, deep-shelf designs, slide-out bins and room for gallon storage in the doors. ● External water dispensing, which takes up no usable capacity and is available in the optional stainless steel door panel set only. Since 1934, the Fisher & Paykel design heritage has been founded on a pioneering spirit and culture of curiosity that challenges conventional appliance design to consistently deliver products tailored for human needs. Incorporating outstanding performance, and user focused innovation; Fisher & Paykel and DCS by Fisher & Paykel appliance brands inspire people through indoor/outdoor kitchen and laundry products, designed with real life in mind. The brands incorporate innovative technologies driven from a passion to produce the most technically advanced, efficient, and contemporary styled appliances. As pioneers of the world’s first drawer dishwasher, DishDrawer®; Fisher & Paykel continues to pave the way for appliance innovation. Since the 1980’s, DCS has defined cooking appliance innovation for the commercial food industry, and designs commercial quality appliances for the home. Fisher & Paykel Appliances is a global company operating in 50 countries, manufacturing in the United States, Mexico, Italy, Thailand and New Zealand. For more information, please visit: http://www.fisherpaykel.com.